You don't need great credit to get a car loan. In fact, you can even have poor credit and find reputable lenders when you use Auto Credit Express (ACE). Auto Credit Express helps people buy a car despite their bad credit score or poor credit history. They've been in business since 1999 and have grown exponentially since then, helping match people with credit problems with dealerships that will work with them. Their specialty is in matching buyers with subprime auto loans, but they can match anyone that needs a car loan with the right dealer. How Does Auto Credit Express Work? Auto Credit Express doesn't provide the loans. Instead, they are a consulting service that matches you up with a dealer or lender in your area that handles borrowers in your situation, free of charge. First, you get prequalified with Auto Credit Express. This step requires you to complete a 3-minute application. You'll provide your "basic" information, including your name, monthly income, and zip code. Next, you'll provide information about your residence including the address, whether you own or rent it, and the amount of your monthly housing payment. You'll then provide information on your employment, including your employer's name and phone number. The final step requires you to provide your Social Security number and date of birth. Before you submit your application, you'll read the disclosures. Make sure you pay close attention to the fact that any lending partners that you choose to work with will pull your credit. At that point, you will have a credit inquiry on your credit report and you'll lose a few points on your credit score. The prequalification process through Auto Credit Express, however, doesn't require pulling your credit. Once you submit your application, Auto Credit Express will contact you to get more information. They will then provide you with a list of dealers/lenders in your area that will be able to help you, given your financial situation. The type of loans available to you depends on your situation, including your credit score, credit history, monthly income, and amount of your down payment. Most borrowers need a down payment of at least 10% or $1,000, whichever is less. This will vary by lender, but it's best to have at least some money saved before you apply. Who Should Use Auto Credit Express? If you filed bankruptcy within the last couple of years and it's been discharged, you may have a harder time securing an auto loan on your own. Auto Credit Express can match you with subprime lenders or "bad credit dealers" that will give you that second chance at a car loan. If your credit score is below 650, you may want Auto Credit Express to help match you with a lender. While you may be able to get financed from a standard dealer, chances are you'll pay hefty fees as a result of your lower credit score. Auto Credit Express can help you get the best APR and fees on a loan so that you don't overpay. Typically, you need to make at least $2,000 per month in order to secure a "bad credit car loan." If you make less, Auto Credit Express can help match you up with lenders that offer loans to those with little monthly income. If you've ever applied for a car loan at the dealership and felt the confusion that ensues when they throw alarming numbers at you, you'll appreciate the simple process at Auto Credit Express. Once you submit your application and they discuss your situation with you, they will match you up with lenders that handle situations like yours. Auto Credit Express encourages applicants to add a cosigner whenever possible. This may open up more opportunities for you to get attractive financing terms. Even if you're credit score is 500, you may still be able to be approved. 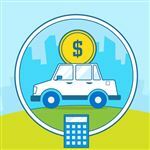 Because Auto Credit Express works with hundreds of subprime lenders, they may be able to match you with a lender that accepts low credit scores. 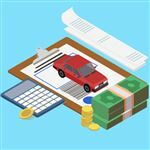 It helps if you have other compensating factors to make up for the low credit score, like a good paying job or tangible assets, so that you can lower the APR the lender charges. Auto Credit Express only requires that you are at your current job for six months before applying for an auto loan. You do need a three-year history of employment in total, but only six of those months must be at your current place of employment. You don't have to wait a specific amount of time after discharge to get a car loan. You just need to make sure the bankruptcy is discharged (the judge has dismissed your debts). They have resources from coast to coast that can help borrowers in all types of financial situations. 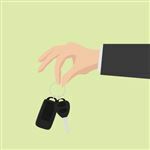 This can open up your possibilities of securing an auto loan despite your financial or credit situation. Rather than doing the legwork yourself, you can be in the comfort of your own home and have up to 5 lenders give you offers. This gives you the chance to comparison shop without the hassle it usually takes. If you are or were a part of the military, ACE has special programs they can refer you to that help you get the most attractive terms for your loan. If your credit and financial situation require that you spread your auto loan out over 6 years, ACE works with lenders that offer this opportunity. If your only option is a Buy Here, Pay Here Dealer, ACE can point you in the right direction. Just make sure that you understand the terms and the full cost of the loan, as these loans are typically more expensive than other subprime loans. While you complete an application with ACE, your information gets farmed out to multiple lenders who may then contact you. If you don't want to be contacted multiple times about a potential car loan, you may want to do the legwork yourself. You have the option to opt-out of ACE selling your information, but it's the fine print at the bottom of the application that many people miss. If you miss it, be prepared for your phone and/or email to blow up with offers that you probably don't want. ACE matches you with the dealership(s) that will accept your qualifying factors. This may limit your choices when it comes to choosing a car. If you have less than perfect credit or a blemished credit history, it doesn't cost you anything to use the Auto Credit Express service. As with any loan, make sure you know the full cost of the loan. Don't focus on the fact that you can get a loan - look at its bottom line before making a decision. Share on Facebook "Auto Credit Express Review"